It’s been a big week, folks. On Wednesday, I finished classes. I took my second-to-last-ever exam on Friday, and I turned in my last paper today. Oh, and I decided to go (back) to Munich for the summer. As many of you know, since I polled approximately 100 of you, I have been struggling with this decision for weeks. I made pro/con lists. I asked my downstairs neighbor. I freaked out and shut down and utterly destroyed my cuticles. And then, at last, clarity. I’m 22 years old and I should go to Europe for the summer because I can. And I should eat quiche in honor of my decision. 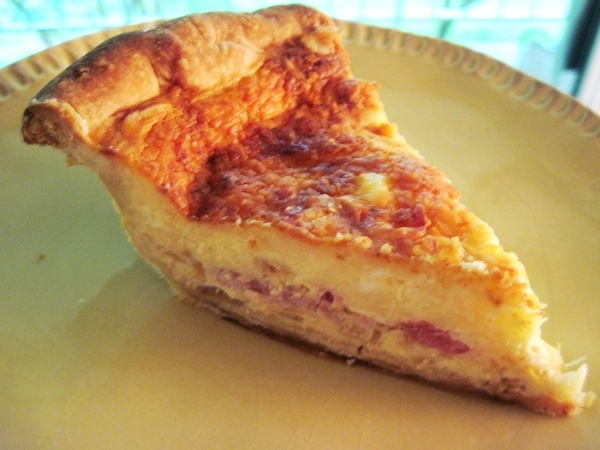 Quiche reminds me of the lovely evenings I spent in London with my friends. 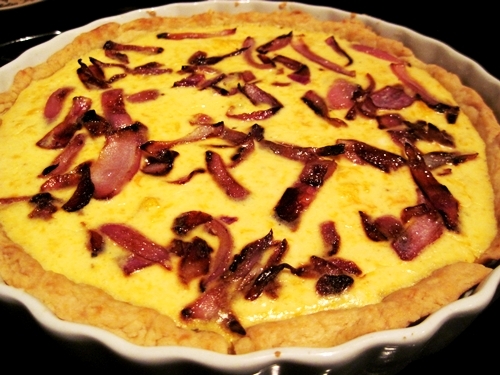 I went with this recipe, which only required one adjustment: the addition of leftover Easter ham and caramelized onions. Deadly delicious. More tomorrow. Right now I am feeling all over the place.